In 1947 the Milton family made its first sale of pearls in London’s jewellery quarter, Hatton Garden. Since then, three generations have built their business on the extensive knowledge and experience of every corner of the precious jewellery industry. Mark Milton has been at the centre of this business for over 30 years. 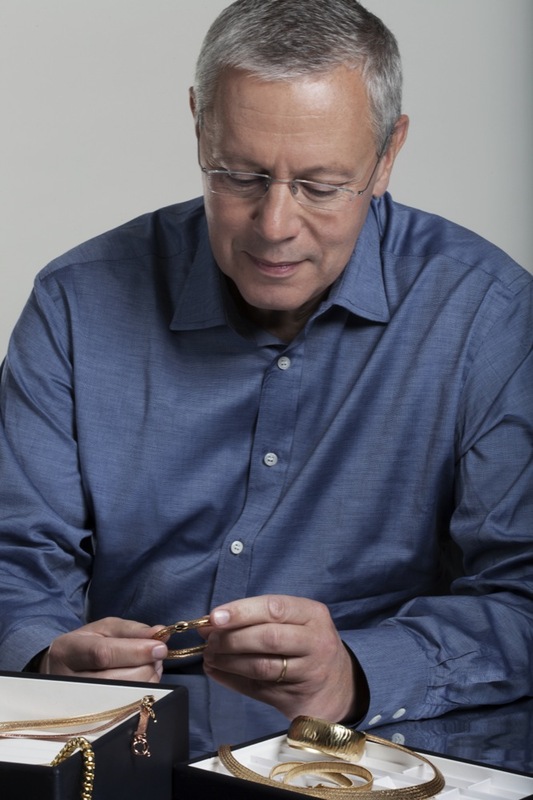 He has witnessed every twist and turn of the jewellery trade in his search for fabulous precious metals and stones, and now supplies some of the most successful jewellery retailers with innovative products of the highest standard. With an unrivalled knowledge of every aspect of the jewellery-making process, Mark is able to source and create ranges of precious pieces to his exact specifications. This creative journey begins with an idea or sketch and ends with a collection of pieces that Mark has personally developed with teams of experts from many highly skilled professions. It is these years of creative collaborations that have built solid and trusting partnerships between the Mark Milton business and craftsmen from around the world. Designers, model-makers, tool-makers, engravers and diamond setters; Mark has established relationships with every stage of jewellery development, and with it, access to the best technical facilities in the world. Today, the Mark Milton collections are a reflection - and celebration - of years of sourcing and creating beautiful jewellery; a distilled, elegant range of pieces for women. Every necklace, earring, bracelet and ring has been intelligently designed with meticulous attention to detail.